 The Lake District Foundation Fund provides grants to projects that care for the spectacular landscapes, wildlife and cultural heritage of the Lake District and Cumbria. When you make a donation to the Lake District Foundation you are supporting high-impact evidence-based projects that are of urgent priority. Funding decisions are made by a grant-making panel. We are open to creative and innovative ideas that have a measurable and sustainable impact. We are particularly keen to support projects that link to our World Heritage Inscription. For a full list of recently funded projects take a look here, or to apply for a grant, click here.